Yowza! Some people shouldn’t be given the keys to a car. 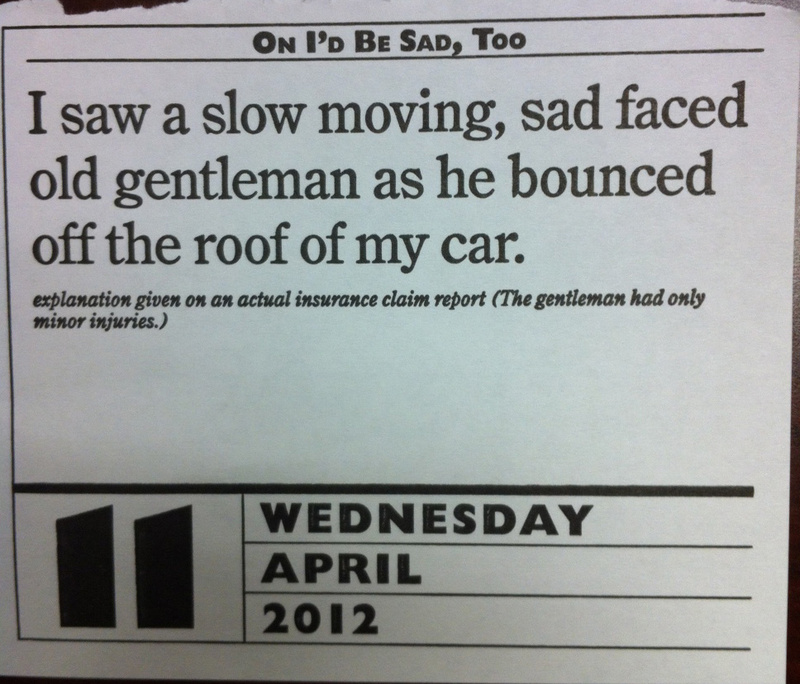 Explanation given on an actual insurance claim report! Fortunately, the gentleman had only minor injuries. Next post: I drove out of my driveway straight into a bus!